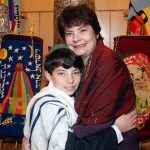 Bar Mitzvah & Bat Mitzvah ~ Capturing the Joy of Your Simcha! 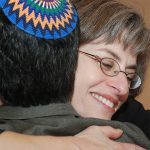 My Bar and Bat Mitzvah photography is unique, I blend my love of Torah, avodah (worship) and gemilut chasidim (acts of loving kindness) with my love of photography, capturing photographs with a Jewish lens. 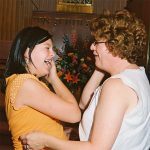 From the Bubbe’s hand made kippah to the kiss on her granddaughter’s punim, I have an intimate and personal knowledge of the best shots, poses and moments of the Bar and Bat Mitzvah- from the sanctuary to the kiddush luncheon and celebration photos. 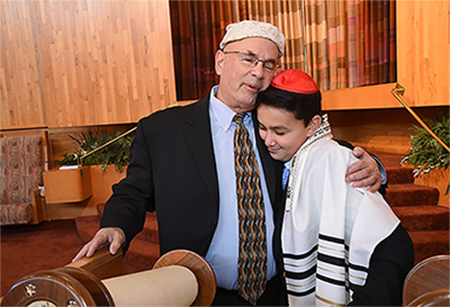 I have photographed bar and bat mitzvah celebrations at Temple Israel, Bet Shalom, Beth El, Shir Tikvah, Adath Jeshurun, Beth Jacob, Mount Zion, Temple of Aaron, and B’nai Israel in Rochester, MN. My home synagogue is Mount Zion Temple in St. Paul where I was a Past President and I like to call it my second home. Please visit Galleries to see all names of children and synagogues I have photographed. These galleries, will remain on-line forever, so you can always view your photos. I bring a creative eye, a sense of humor and much patience to your event and to my job every day. Its really not a “job” per se; rather to me, it’s my passion and love. I love photography and I love Judaism and I receive great joy in putting the two together to create what I call the whole megillah. Mazel Tov and b’simcha! (with Joy!). Great facility in Edina. Many different room options for parties. Love the bowling/bocce facility/option! You can bring in your own food and entertainment. Call Ashley ~ She is a joy to work with! This is truly a beautiful venue. Perfect too for a summer b’nei mitzvah with Centennial Lakes just outside the doors. What a backdrop! Convenient venue in St. Louis Park with plenty of fabulous party rooms. Wonderful hotel for guests to stay overnight. They have held many a mitzvah. Call Cindy today! It’s not just about the balloons anymore. Cindy delivers FUN in all shapes and sizes, and at all budget points. Cindy is a master at designing your perfect centerpiece for your luncheon and/or evening celebration. Need a sign or two? Signs are in! Call Cindy: She will take care of all your material needs… she is our Material Girl! 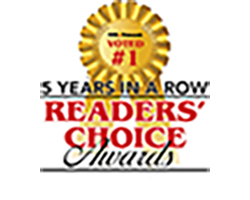 Call Lori Hurley today! 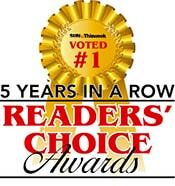 Her family owned business has been providing the best entertainment in the Twin Cities for over 30 years! For company events, school parties, private parties and Bar and Bat Mitzvah events, A Touch of Magic Entertainment will give your celebration the unique fun party idea you have been looking for and that children line up for! From fabulous face painting, to comedy, clowns, balloons, henna art.. you name it! Lori and her great staff, including her own children, provide the best entertainment. Add some comedy entertainment to your Bar or Bat Mitzvah celebration with Norm! Norm gets everyone involved with his awesome, fun comedy show. He will dazzle you and the kids with his magical talents. Call Alan Block, he has been in the business for 30 years. He does a lot of nonprofit work. 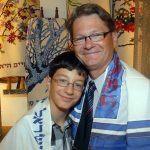 Alan has done the video work for many Bar and Bat Mitzvah students where he had photographed their parents own weddings. Alan does mostly corporate work now, but has been known to take on the occasional Bar/Bat Mitzvah. Working with Sue Lund was a very positive experience for my family. Sue was tremendous: she worked with a large, rambunctious group, posed us, made us smile, and in general took charge with a warm, friendly and humorous manner. We loved the way Sue was able to capture the incidental moments: a kissed cheek here, a warm embrace between friends there. She has a wonderful eye. I would recommend Sue Lund for any of your photographic needs. I selected Sue as our bar mitzvah photographer because I felt so comfortable with her. I knew I needed an expert to coax a relaxed smile out of me; the nervous mother of the bar mitzvah. Sue took outstanding pictures of all of us — she even made me look good! Sue kept everyone smiling, adults and kids alike. She was so efficient during our extended family photo call that we finished the group photos even earlier than scheduled. Sue also took great candid shots of our bar mitzvah party. We decided not to hire a videographer and we counted on Sue to provide us with those spontaneous memories. She did not disappoint us! Sue got great photos of our havdalah ceremony, dancers of all ages, dinner table conversations, and even a dreidel tournament! She also provided outstanding service. She immediately returned my phone calls. She made very helpful suggestions about staging and scheduling different family photo groups. our final photos were delivered within two weeks of the bar mitzvah event. Here’s another example of Sue’s dedication to extraordinary customer service. A blizzard almost caused us to cancel our dress rehersal at Adath Jeshurun. My husband was stuck in traffic, and I did not expect to see Sue at all. Nonetheless, Sue arrived right on time for the rehersal. My husband didn’t make it for another hour. In the mean time, Sue took lots of pictures of our son with the cantor and on the Adath Jeshurun bimah. Then we added the parent photos at the very end, when my husband finally made it to the sanctuary. All that time, Sue was enthusiastic, upbeat and very flexible. I highly recommend Sue Lund to you. She is a terrific photographer, and she really understands how to serve the bat or bar mitzvah family. Her final photo products are beautifully assembled and displayed. The website makes the photo files easy to access. I have already reserved Sue’s talents for our next bar mitzvah.